MIDI was created over thirty years ago to connect electronic instruments, synths, sequencers, and computers together. Of course, this means MIDI was meant to be used with computers that are now thirty years old, and now even the tiniest microcontrollers have enough processing power to take a MIDI signal and create digital audio. [mitxela]’s polyphonic synth for the ATtiny 2313 does just that, using only two kilobytes of Flash and fitting inside a MIDI jack. Putting a MIDI synth into a MIDI plug is something we’ve seen a few times before. In fact, [mitxela] did the same thing a few months ago with an ATtiny85, and [Jan Ostman]’s DSP-G1 does the same thing with a tiny ARM chip. 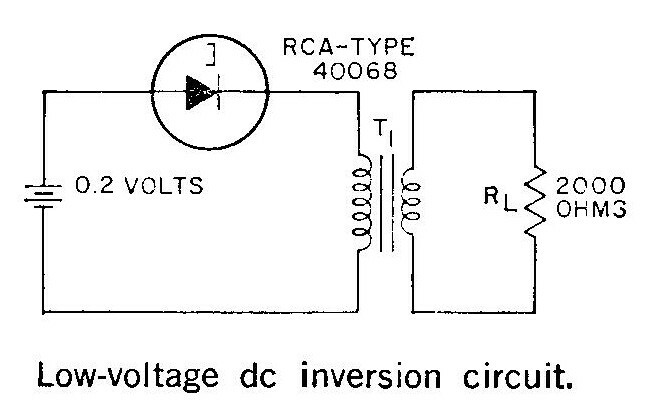 Building one of these with an ATtiny2313 is really pushing the envelope, though. With only 2 kB of Flash memory and 128 bytes of RAM, there’s not a lot of space in this chip. Making a polyphonic synth plug is even harder. The circuit for [mitxela]’s chip is extremely simple, with power and MIDI data provided by a MIDI keyboard, a 20 MHz crystal, and audio output provided eight digital pins summed with a bunch of resistors. Yes, this is only a square wave synth, and the polyphony is limited to eight channels. It works, as the video below spells out. Is it a good synth? No, not really. By [mitxela]’s own assertion, it’s not a practical solution to anything, the dead bug construction takes an hour to put together, and the synth itself is limited to square waves with some ugly quantization, at that. It is a neat exercise in developing unique audio devices and especially hackey, making it a very cool build. And it doesn’t sound half bad. 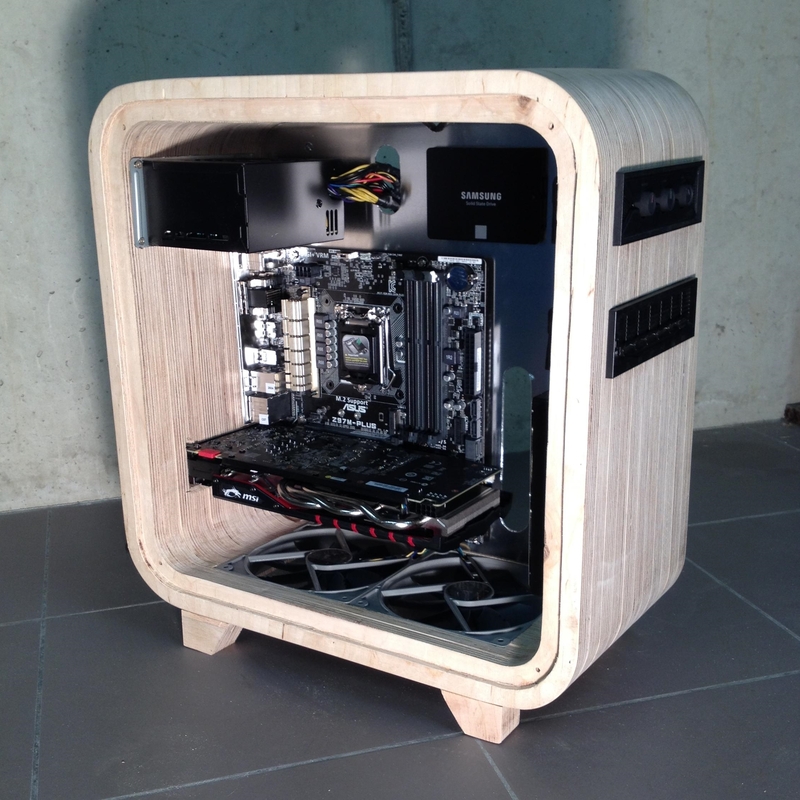 When [LouisVW] decided to build a new gaming rig, he wanted to try something different. So instead of buying a pre-built tower, he made one — out of wood! Coming from someone who has no experience in woodworking (or computer building) we’re seriously impressed with what he’s made. He was originally inspired to build the case when he saw boxes made by stacking pieces of plywood together — he got one and decided to turn it into a case. Using a jigsaw, chisel and Dremel he was able to cut out all of the fan holes and drive bays fairly easily, and thanks to overlapping plastic covers it wasn’t that hard to make everything look perfect. For the last ten years or so, computing has been divided into two camps: Windows, and everything else with a *nix suffix. Want a computing paradigm where everything is a file? That’s Linux. Want easy shell scripting that makes the command line easy? Linux. Want a baroque registry with random percent signs and dollar symbols? That would be Windows. Want to run the most professional productivity apps for design and engineering? Sadly, that’s Windows as well. *nix runs nearly the entire Internet, the top 500 supercomputers in the world, and is the build environment for every non-Windows developer. Yet Windows is the most popular operating system. The divide between Windows and *nix isn’t so much a rivalry, as much as people who still spell Microsoft with a dollar sign would tell you. It’s just the way personal computing evolved by way of legacy apps and IT directors. Now, this great divide in the world of computing is slowly closing. At Microsoft’s Build 2016 developer’s conference, Microsoft and Canonical, Ubuntu’s parent company, announced a partnership that will allow Ubuntu to run using native Windows libraries. In short, this announcement means bash and the Linux command line is coming to Windows 10. The command line is great, but userland is where it’s at, and here this partnership really shines. Unlike Cygwin, the current way to get *nix stuff running in a Windows environment, Windows’ bash will allow unmodified Linux programs to run unmodified on Windows 10. It is not an understatement to say this is the most important development in operating systems in the last 10 years. For the last decade, every developer who is not purely a Windows developer has picked up a MacBook for the sole reason of having BSD under the hood. If you’re looking for a reason Apple is popular with devs, it’s *nix under the hood. This announcement changes all of that. Researchers at Binghamton University have built their own graphics processor unit (GPU) that can be flashed into an FGPA. While “graphics” is in the name, this GPU design aims to provide a general-purpose computing peripheral, a GPGPU testbed. Of course, that doesn’t mean that you can’t play Quake (slowly) on it. It was bad for the open-source community that GPU manufacturers had all decided to keep their chip specifications secret. That prevented open source developers from writing software that could utilize that hardware. With contributions from the ‘open hardware’ community, we can incorporate more creative ideas and produce an increasingly better tool. That’s where you come in. [Jeff Bush], a member of the team, has a great blog with a detailed walk-through of a known GPU design. All of the Verilog and C++ code is up on [Jeff]’s GitHub, including documentation. If you’re interested in the deep magic that goes on inside GPUs, here’s a great way to peek inside the black box.